A lovely site about polymers – lots of information and animations. Making nylon in the lab. 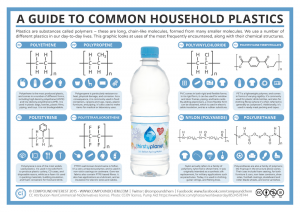 Here are two short videos on polymers: polythene from RSC (5m 30s) and polystyrene from Lammas Science (2m 15s). And here are three longer ones: plastics/polymers from Science in Focus (18m 40s); polythene from Chemistry in Action (20m) & BBC Short Circuit polymers (& crude oil) (19m). This entry was posted in 14. Organic Chemistry and tagged amino-acids, organic, plastic, polyethene, polymers, protein on September 5, 2013 by Mr Cartlidge.